When I started blogging as thelittleloaf a couple of months ago, one of the first people I asked for their honest opinion (Mum, Dad and Carniverous Boyfriend don’t count) was a friend who lives in Sydney. Launching yourself out there into the blogosphere is a pretty daunting prospect; I worried what people would think of my blog. Could I actually write? Would my recipes work? And, perhaps most importantly, would anyone care? I know that the immediacy of the internet means your audience could just as easily be in the next room as on the next continent, but perhaps subconsciously it felt safer to try my ideas out on someone who lives over 10,000 miles away. As you might expect from a dedicated carb lover and little loaf, my first ever post was a malty wholemeal loaf. 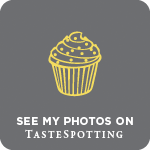 After lots of fun baking, uploading my photos and thinking of what to include in my post, I duly sent the link Down Under to see what my friend had to say. She wrote back to describe in laugh-out-loud detail (Jess, have you considered your own blog? ), her own bread baking attempts and the often inedible results, asking if I wouldn’t mind sharing any tips I had. Hurrah! Her heartfelt and immediate response made me realise there might actually be a market, albeit a small one so far (Mum, Dad and CB, again I don’t think you count), for my amateur exploration into the world of bread, baking and other good things you can put in your mouth. 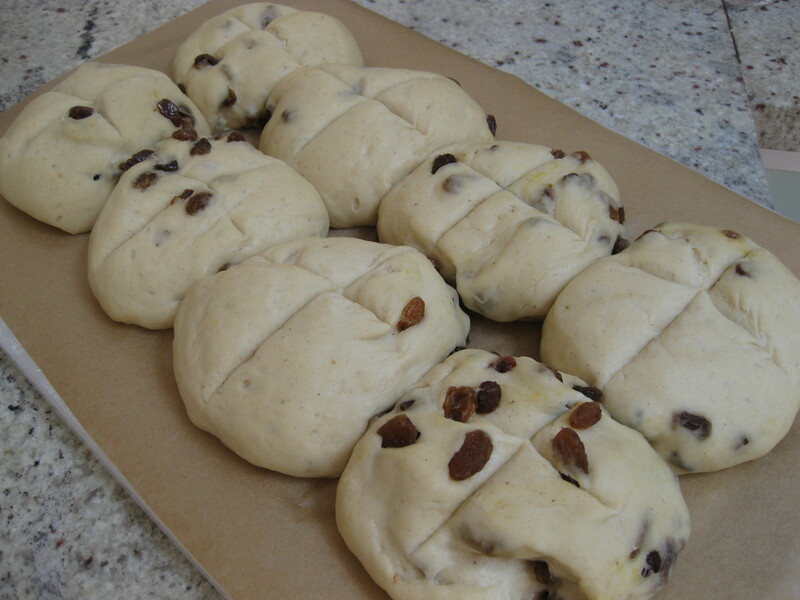 One particular baking challenge my friend mentioned in her email was hot cross buns. Apparently her most recent batch were renamed ‘hot cross biscuits’ by her husband on account of their texture. I’d never attempted to bake hot cross buns before, but I love eating them every Easter so I decided to do some research and find her the perfect recipe for these sweet, fruity buns. My first port of call was the River Cottage Bread Handbook by Daniel Stevens. This is the book that tutored me towards my very first light, crusty crumb – a loaf I could actually be proud of. But although I absolutely trust Daniel’s step-by-step guidance, I wanted to see what other bakers were doing with this Easter classic, and had already got my eye on a couple of recipes on the Guardian website. I’m yet to make a recipe by baker-extraordinaire Dan Lepard that hasn’t come out delicious, and I loved the look of his spiced stout buns, especially the idea of soaking the dried fruit in tea for an extra moist richness. I’d also bookmarked Felicity Cloake’s recipe as I’m an avid follower of her ‘How to cook perfect . . .’ series. She’d already done a lot of the legwork for me, incorporating tips from Dan Lepard, Nigella Lawson and another baking blog I love, Wild Yeast. Her ‘perfect’ hot cross bun photo also gave me a glimmer of hope for my own ‘first ever bun’ attempts – totally gorgeous but in a very homemade, rustic way. Last but not least, I had a quick peak at Signe Johansen’s recipe, a Scandinavian food blogger I’ve been following since I found her incredible chocolate chip cookie recipe. She had an awesome idea for an Easter loaf using the same mixture of ingredients, but I decided to forgo this til another occasion in favour of the traditional real deal bun. So Jess (and all you other baking enthusiasts out there), for what it’s worth, here’s my recipe for the perfect hot cross bun. The photos above were taken from my first attempt, and next time I’ll be making my buns smaller and further apart (the photos above suggest a bun on steroids – all subsequent modifications have been accommodated in my recipe below). I hope you enjoy making these as much as I did. The night before you want to make your buns, soak the dried fruit in the hot black tea. This will give the fruit a dark, unctuous quality. The next day, strain the dried fruit and set aside. Heat the water, milk, cloves, cinammon, saffron and nutmeg in a small pan til just boiling, then remove from the heat and leave to cool slightly and infuse. In a large bowl mix together the flours, yeast, salt and sugar. Grate the chilled butter into the bowl and rub it into the flour mixture with your fingertips until well mixed. Add the warm milk mixture, dried fruit, sugar, egg and orange zest, and mix to form a soft, sticky dough, then knead for around 10 minutes until soft, silky and elastic. Lightly grease a clean bowl and put the dough into it. Cover with a tea towel and leave in a warm place to rise . This will take 1-2 hours depending on where you leave it. Once the dough has doubled in size, tip it out of the bowl and knead for a minute or so, then divide into 12 even sized pieces and roll into bun shapes. Put the buns on a floured baking sheet, run a sharp knife over the top to form crosses, then cover with the same tea towel and leave to prove until doubled in size – around 30 mins to an hour. Preheat the oven to 200 degrees C. To make the crosses, whisk together the flour, water and oil til smooth, then spoon into a greaseproof piping bag and snip a tiny hole in the end. Pipe thin crosses across the buns. My piping bag split and I ended up having to do this by hand with a teaspoon, hence the slightly rustic crosses in the pictures above, but although they don’t look perfect, I quite like the rough-around-the-edges homemade look. Pop the buns in the oven and bake for 15-20 mins until golden and delicious. A couple of minutes before the buns are ready, mix the boiling water and apricot jam in a small bowl. 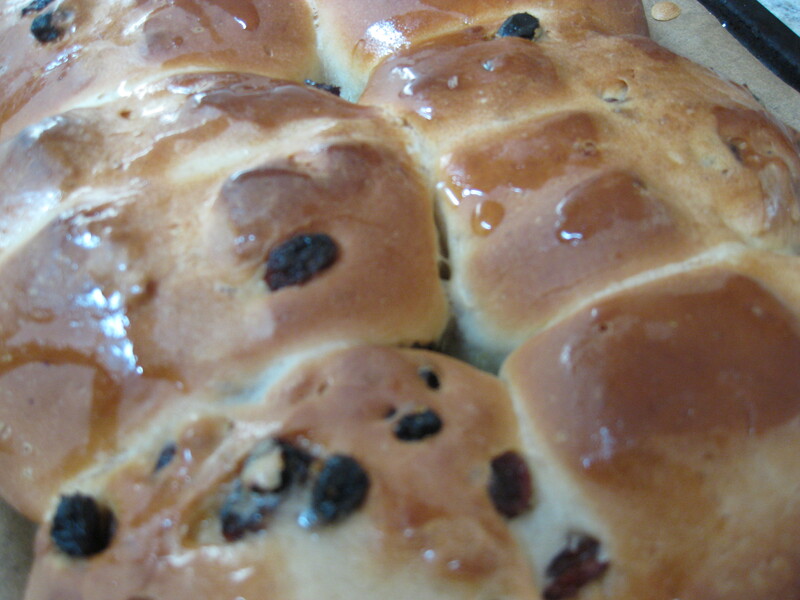 Remove your hot cross buns from the oven and brush with the syrupy glaze. Transfer to a wire rack and leave to cool. 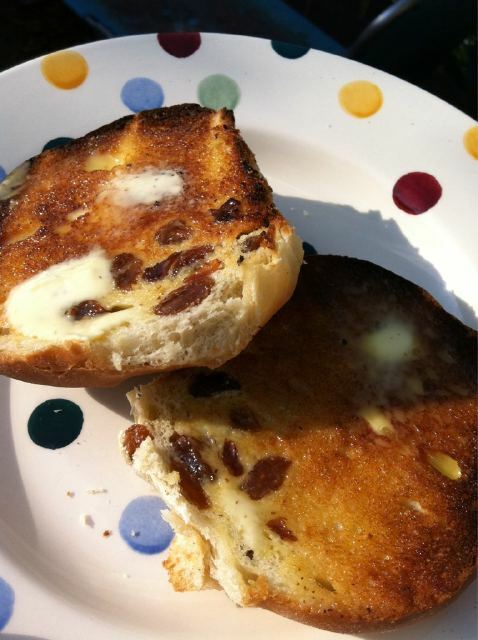 Enjoy toasted with wedges of slightly salty butter or, for my ultimate hot cross bun indulgence, eat cold with thick cream and strawberry jam. wow these look fabulous! Sounds like you really did your research and all. I wish I’d spotted this a few days ago… actually, I just might have to make them anyway, not sure I can wait a whole year. Thank-you! Here’s hoping this spells the end of the tyranny of the hot-cross biscuit. Haha fingers crossed. Good luck!